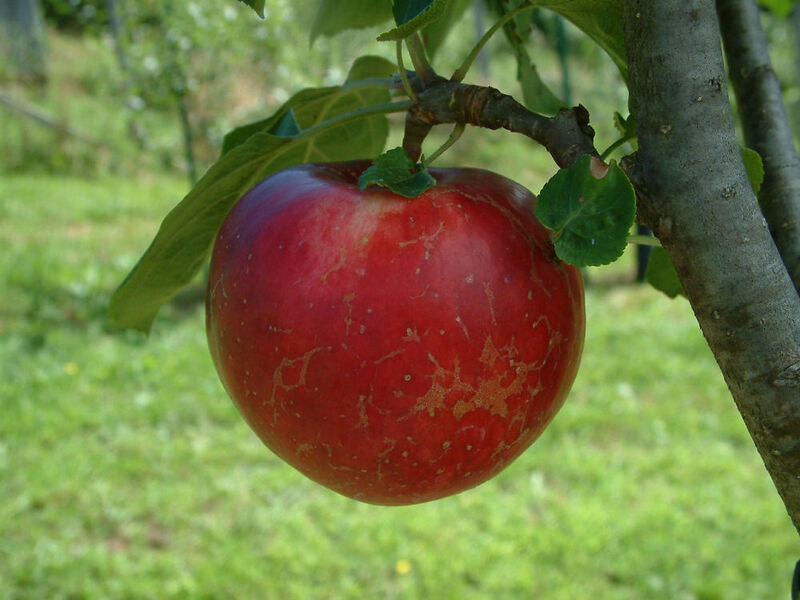 In 1895 Francis P. Sharp of New Brunswick, Canada exhibited an apple called Crimson Beauty which he had been growing since 1880. In the early 1900’s, Stark Bro’s Nursery sold this apple under the trademarked name of Early Red Bird, advertising it as the earliest of all apples. When fully ripe, it has red veins running through the flesh which produces an outstanding red applesauce. Very popular as a fried apple served for breakfast. Fruit is medium-sized with red and crimson-striped skin. The soft, juicy white flesh is stained with red on the sunny side. Ripens June to July. Here in Seattle, WA., we have an Early Redbird Apple tree. It’s very old and we have been able to recreate several new trees from it. This year we had some apples that were good enough to cook for apple sauce. I gave two of the trees to go to Richland, WA and be planted there. Both trees were producing fruit, however mine isn’t producing yet. Have my fingers cross that maybe next year. Glad to come across this site and the information was very useful. Thanks for sharing your observations about the Early Redbird. I have always considered this apple to be one of the best applesauce varieties, a fact that sometimes gets lost among those who think the only good sauce apples are Yellow Transparent, Wolf River or York Imperial. Good luck with your trees in the next few years. Let us know how well the tree does for you in Washington.